FCA reviewed past monthly U.S. sales reports using a new methodology. DETROIT -- Fiat Chrysler is changing the way it reports monthly U.S. sales to make the process more transparent, and as a result of the change, said its 75-month sales streak actually ended at 41 months, in September 2013. The revelation followed a report in Automotive News Monday on an internal investigation conducted by FCA in 2015 that found the automaker had 5,000 to 6,000 reported sales which had later been unwound -- meaning they were not completed. All told, under the new methodology, FCA actually increased its total U.S. vehicle sales since 2011 by a net 18,996 vehicles, the automaker said in a revised sales table. The biggest increase -- 14,966 vehicles -- was made in 2014's results. It also underreported results for 2011 and 2015 while overreporting in 2012, 2013, and 2016 to date. The automaker said it went back and reviewed past monthly U.S. sales reports using the new methodology. It found a 3 percent monthly decline in September 2013, when it had previously reported a 1 percent increase. 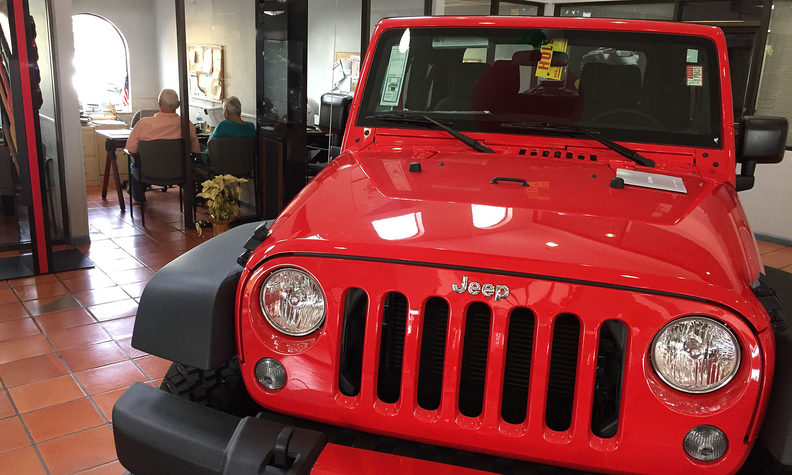 Likewise, in August 2015, its U.S. sales would have slipped 1 percent, instead of the 2 percent increase it reported. And as recently as May 2016, its U.S. sales would have dropped 7 percent instead of the 1 percent gain it reported. Retail “other” sales, including sales by dealers in Puerto Rico. FCA also said its fleet sales would be reported upon shipment of the vehicles to the customer or end user. FCA said the “complexity” of sales reporting is unique to the U.S., and said that a European-style reporting system relying on registration data "has never been thought to be feasible." FCA confirmed July 18 that its sales reporting process was under investigation by the Securities and Exchange Commission and the Department of Justice after reports in Bloomberg News and Automotive News. Federal investigators visited all nine of FCA’s regional business centers on July 11 and spoke with current and former employees as part of their investigation. It remains unknown whether the searches and interviews were conducted under a warrant. FCA was sued earlier this year by two of its dealerships owned by the Napleton Automotive Group, which accused the automaker of a civil racketeering violation for falsely reporting sales, among other allegations. FCA sought dismissal of the federal suit in March, calling the allegations “baseless” and a “smear campaign” conducted by disgruntled dealers.